When I went to culinary school in 1997, becoming a chef was still considered an “alternative” career or trade as opposed to going to a traditional four year college for a liberal arts degree, or going pre-med or pre-law like the rest of my high school classmates. My siblings also all went the traditional route, and I give my parents a lot of credit for supporting me in what was certainly an outside-of-the-box career choice at the time. Nevertheless, it’s one that has proven perfect for me. If you had asked me back then if I would someday be attending a joint summit between my alma mater, the renowned Culinary Institute of America (CIA), and Harvard (incidentally, where one of my brothers got his MD and PhD), featuring food industry experts and leading academics from the fields of public health, nutrition, environmental science and business management, I would probably have not thought it likely. But that is precisely where I found myself two weeks ago – at the Menus of Change leadership summit in Cambridge, MA. Considering all of the questions I got from friends and family back in 1997 about pursuing culinary arts (such as, “Are you sure becoming a chef is what you want to do?”) it sure was vindicating! In recent years, the chef’s “white coat” has gone “white collar” as we are getting paid more to make more complex decisions about what goes on the plate. These days, chain restaurants, contract foodservice companies, and franchises have enormous power and responsibility to shape and influence customer choices. 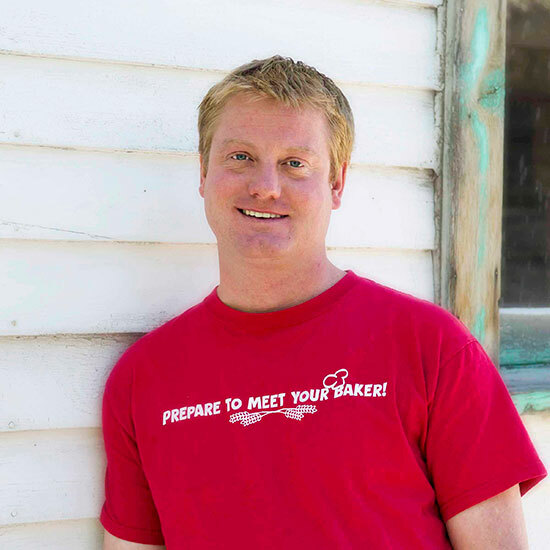 Almost all of these larger foodservice entities now have a dedicated corporate chef in a position similar to mine at Great Harvest, which is to help decipher needs and lead menu development in a rapidly-changing food world. As populations explode, the world’s food and water resources are increasingly being strained by our demands. The overall health of the American population is at its worst ever. In this context, the CIA and the Harvard School of Public Health have joined forces to engage the food industry in a discussion about how to leverage their chefs, their menus, and their establishments as real venues of change for the way people eat and consume in this country — which is currently with little thought for environmental impact or the impact on their bodies. I felt energized and inspired after the second annual Menus of Change leadership summit, leaving with a better understanding of what is being done to address concerns in our food supply, American diets, and how to remain appealing to our present and future customers. 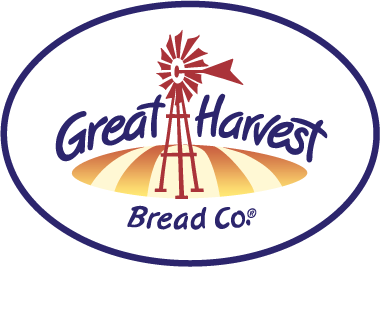 Great Harvest is incredibly well-positioned to be a champion of the growing movement towards health and sustainability because of our commitment to freshness, whole grains, and our pure, simple ingredients. The slogan for Menus of Change is: “The Business of Healthy, Sustainable, Delicious Food Choices.” You may notice that echos some of the recurring themes here at Great Harvest (in particular: business, delicious food, and healthy food). 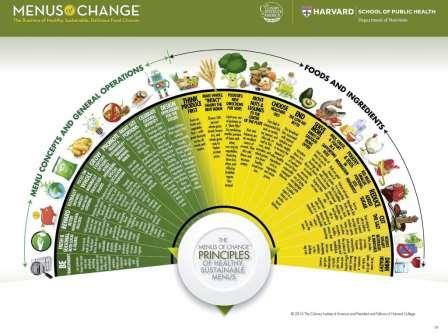 While we're not there yet (admittedly, we have a ways to go before we could say we're sustainable) we are committed to taking a path that's aligned with many of the Menus of Change principles (pdf download). I was at the summit with other corporate chefs from large companies such as McDonalds, Dunkin’ Donuts, sweetgreen, and Panera, as well as chefs of the dining programs of public and Ivy League colleges and universities (including our very own University of Montana – recognized as a leader in healthy and sustainable college foodservice). Also in attendance were the chairs of the Departments of Nutrition and Food Policy from Harvard, Stanford, Tufts, and Yale, high-level executives from Microsoft (a leader in sustainable “smart” building technology), climate change specialists from the World Bank, and renowned owners of individual farm-to-table restaurants like Dan Barber. Quite simply, there needs to be a push away from animal-based protein as the center of the American plate and the American diet — and the best alternatives are whole grains. The great tenet of this conference was a focus on fresh and seasonal, whole, minimally-processed food. There was talk of making whole, intact grains the new norm, moving nuts and legumes to the center of the plate, and being transparent in your supply chain. These are all things that we at Great Harvest are already committed to. Our next generation of customers (those currently in college) are increasingly concerned with their food choices, wanting to know where their food comes from and how it was raised and prepared – and many of them are eating less and less animal protein and many more whole grains. Increased tolerance and expectation of big, bold, ethnic flavors is now the norm. Think of it as “an expanded acceptance of flavor” – just as we are adding adventure to familiarity within our new sandwich program. Millennials demand ethnic flavors and we are committed to delivering them. Consumers are asking, “Where should we eat?” before “What should we eat?”, and frequenting brands they trust to tell them what they should be eating. The most successful brands are challenging the status quo and balancing their core products with innovation. The key is to make healthy, sustainable products that are so good nobody misses what isn’t in them. That has been our secret for a long time! I am jazzed about introducing many new Great Harvest products this year that align with the Menus of Change principles (link to pdf) and am incredibly thankful that I get to do so with a company whose entire product line is based on one of the solutions identified by this conference as a key to health, wellness, and sustainability (whole grains). What else have we done lately that is consistent with the spirit of Menus of Change? In our new sandwich line we eliminated many of the spreads that were high in fat and have instead focused on sauces based on Greek yogurt, heart-healthy olive oil, fresh herbs, tart vinegar and citrus. We created two new vegetarian sandwiches that are so good they appeal to today’s growing number of “flexitarians” (those who order based on the taste and flavor combinations they desire, not whether or not something contains animal protein or not). I am also excited about developing what I call “flip sandwiches” where the meat is a garnish to the other ingredients rather than the main event, a principle wholly embraced by the Menus of Change philosophy, and we continue to develop innovative, healthy whole grain breads that focus on ingredients like quinoa, hemp seeds, and chickpeas. The next Menus of Change summit will take place June 2015 in Hyde Park, NY (CIA territory). I encourage you to check out their website where you can find additional resources related to the conference and its themes. If all this talk about good food is making you hungry, why not pick out one of our healthy and delicious recipes to try?